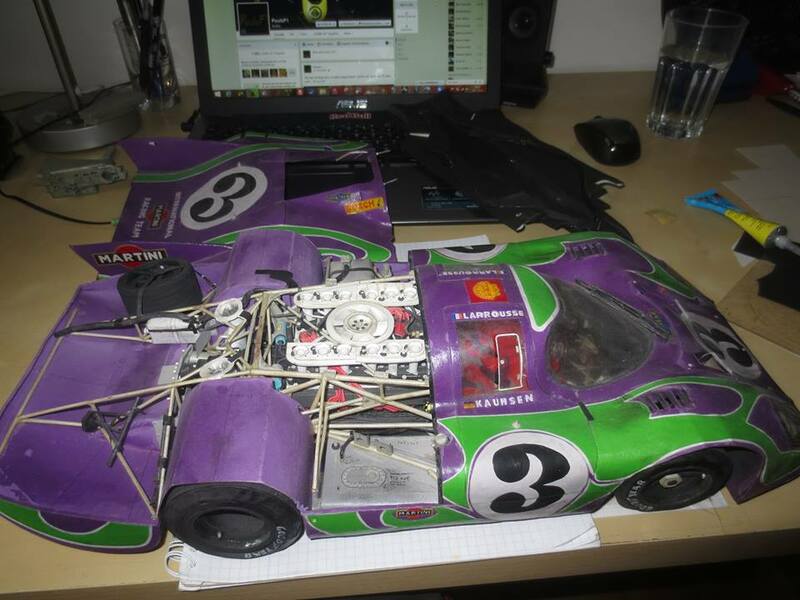 One Porsche Enthusiast Built His Own 917… Out Of Paper? If you're reading this site and this story there's a good chance you're familiar with some of Porsche's racing history and the all conquering 917s of the. If you're familiar with them, chances are quite high that, like us, you want one, or at least want a chance to hang around one for a few hours. If you're slightly insane, like the guy in this post might be, you'll try to build one. For most people, that usually means buying a plastic kit at the local hobby shop and painting/gluing 'til your heart's content. For the enthusiast featured in this post, that wasn't quite enough. 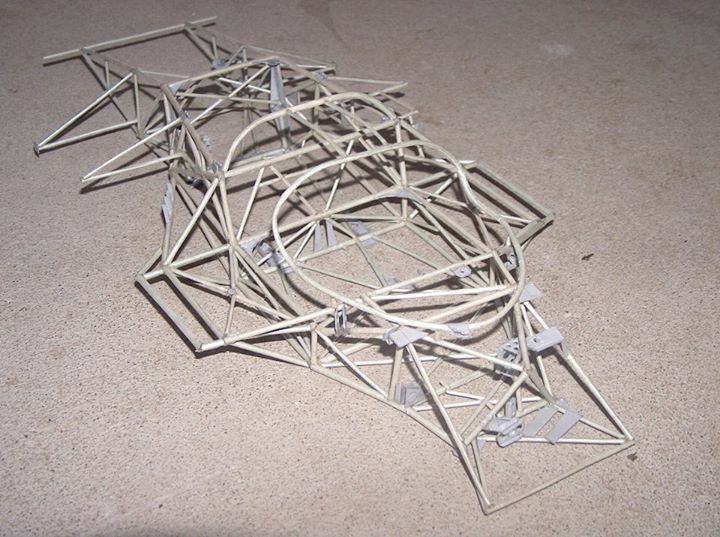 Paul wanted to build his own Porsche 917, from scratch, out of paper. Insane, right? Where many artists work in mediums of oils on canvas or sculpted marble, Paul works his magic with CAD drawings, varying thicknesses of paper, and cereal box cardboard. His art isn't manifested through paintbrush or chisel. Instead, he uses a very sharp X-acto knife, and some high strength clear-drying glues. I've heard of paper-planes before, but this is ridiculous! His paper-iteration Type 912 engine features some details that a lot of the most high-end die-cast scale models don't include. He has individual spark plug wires (all twenty-four of them), fuel injection linkages, accurately represented intake velocity stacks, an alternator with correct fan, pulleys, belts, and oil lines. Needless to say, the level of detail is excruciating. Not content to have only produced an engine, Paul wanted a place to put said engine, so he started working on a tube chassis. By using copies of factory schematics and lots of period photography, he was able to reproduce the 917 chassis in perfect scale. After the chassis was complete, Paul started filling in the details of the car, and working on the bodywork. Pretty soon, he had himself a very nice, highly detailed Hippy 917 LangHeck replica in scale. Just look at some of those details. The wires, the fire extinguisher, the livery, it's all just so authentic. I just don't have the patience or steadiness of hand to accomplish something like this. This isn't Pauls only work, either. He's also an F1 aficionado, and has built a dozen or so more open wheelers out of paper. Because of the skill and detail involved in these builds, Paul has been hired by the Red Bull Formula 1 team, and now works on their carbon fiber construction. Talk about reaping the benefits of your unusual talents. This guy has turned paper race cars into a career with one of the most successful F1 teams of the last handful of decades. Hello, I am also into paper card modelling, you can see my model on the link above. This model is piece of great work, but according papercard modellers rules it is uite dirty. Is it somehow possible to contact the author of this scale model? Thanks in advance.